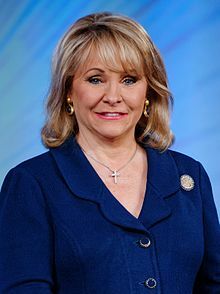 Oklahoma Governor Mary Fallin beat out Connecticut’s Dannel Malloy as the least popular governor in the country, according to Morning Consult’s most recent survey. Fallin’s popularity plummeted, beating out Malloy by three percentage points for the title. If Gov. Fallin is going to stay the least popular governor in America, she’s going to need some guidance from her counterpart in Connecticut, who has more experience on the bottom rung of the popularity ladder. So here are five hints from the Malloy administration to help Gov. Fallin stay the least popular governor in the country. Nothing sharpens the pitchforks and lights the torches like jacking up the cost of living for state residents. Connecticut already had high taxes in 2011 when Gov. Malloy instituted the largest tax increase in state history besides the income tax. The 2011 tax hike moved Connecticut into the stratosphere. In 2015, Malloy embarked on the second largest tax increase. This time, residents and companies had enough. The number of people moving out of state spiked and Connecticut lost General Electric to Boston. Despite the tax increases, Connecticut continued to face multi-billion-dollar budget deficits. 2. Make It Rain Corporate Handouts! Malloy dramatically increased state loans, grants and tax credits to businesses, particularly big businesses, through his First Five Program. To date, Connecticut has awarded $1.1 billion in loans and grants to companies for “economic development,” but the economy didn’t “develop” much. In fact, Connecticut’s gross domestic product declined 1.6 percent over the same time period. These loans, grants, and tax credits were given out as the state faced difficult budget deficits and raised taxes, essentially salting the wounds of state taxpayers. Some companies included in the First Five Program either laid off employees (ESPN) or decamped for Boston (Alexion). Other recipients were major hedge fund firms, which irked government union leaders, some of Malloy’s most ardent supporters. Vamping for the post of Transportation Secretary in a Hillary Clinton administration, Malloy made transportation one of his key issues, which sounds nice, but his biggest efforts didn’t necessarily focus on road and bridge repair. Instead, the governor signed off on a 9-mile dedicated bus line from New Britain to Hartford dubbed CTFastrak. The project cost a total of $570 million, much of it from the federal government, but the new bus struck taxpayers as a giant waste of money at a time when taxes were on the rise. The CTFastrak line now costs $21 million per year in state subsidies. 4. Repeat Mistakes of the Past! In 1997, Governor John Rowland signed a 20-year contract with the State Employee Bargaining Agent Coalition, guaranteeing very generous retirement benefits for state employees until 2017. The cost of unfunded pension and medical benefits, however, began to wreak havoc on Connecticut’s budget. In fact, every dime of the 2011 and 2015 tax increases went toward pension costs. 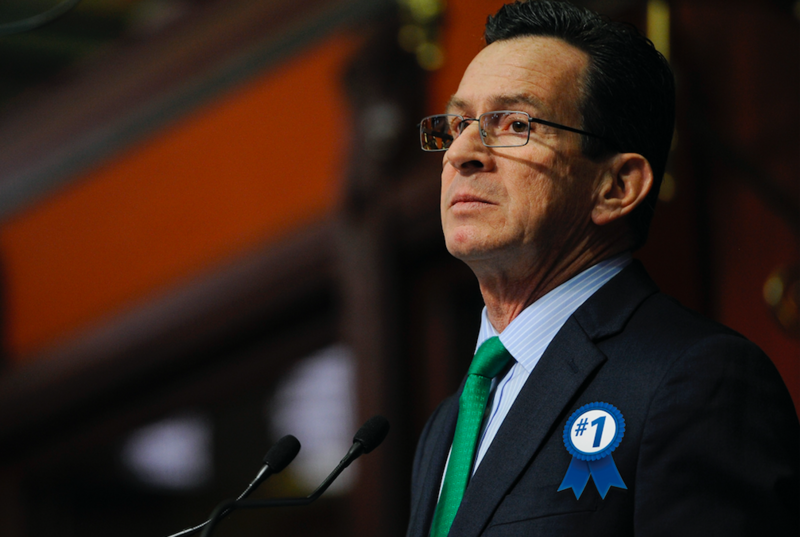 Malloy renegotiated with SEBAC in 2011 and 2017 to save money, but he also extended the agreement to 2027, making it a 30-year deal, which will hamstring Connecticut for the foreseeable future. Chaz & AJ and the rest of Connecticut won’t have to wait long for Governor Malloy’s departure, however. Soon someone else will man the ship and he will have to bear the brunt of a state population grown weary of high taxation, high costs, and watching all their neighbors head south. Malloy inherited some of Connecticut’s problems and created some of his own — as will the next governor. Heavy lies the crown, as they say, and the next governor may find himself losing the popularity contest quickly as the state reckons with its troubled history. The majority of CT. voters elected Dan Malloy governor. His first term was a complete disaster. It was obvious he wasn’t interested in Connecticut’s best interests. He wantonly lied and manipulated . He handsomely rewarded those who contributed to his coffers and handed out positions to certain loyal minions no matter their qualifications. He was also vengeful of anyone that opposed him. This was all done in the open for all to see. So the majority in CT. in a remarkable show of ignorance, elect him to a second term. This speaks volumes about the mindset of the majority. Rational people easily understand what’s been happening in this state. Unfortunately it’s the rational people who are fleeing. I truly fear for the state of Connecticut. Loyalty to a political party over all else, no matter the cost, even at one’s own guaranteed destruction, seems to be the chosen course of the majority. He really is an incompetent fool. He has really clobbered the middle class taxpayers of this state.